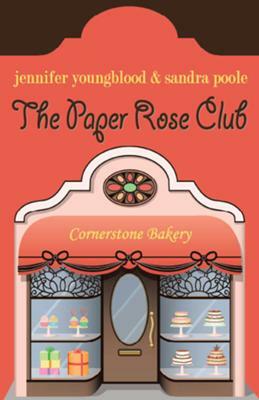 Told with wit and southern charm, The Paper Rose Club is the first in this trilogy you'll want to read. Four Best friends, a lifetime of memories. Nothing could ever come between them... or so it would seem. In the quaint town of Honeycomb, Alabama where life is anything but serene, Roxie Fisher must fight to save her bakery from the greedy clutches of her lifelong nemesis, Imogene West. Even more, she's trying to finagle a way to keep Gus Malone, the love of her life from falling for her spoiled but beautiful designer friend, Rose, who's determined to make Gus number four in her long line of husbands. Roxie gets lots of help and unwanted advice from Bobbi, her busy-body friend and Pollie, her hypochondriac sister. Lots of cat fighting and cake slinging going on in this heartfelt story story about the friendships that define our lives and the secrets that we all keep fro each other. The Paper Rose Club was wonderful. This book reminds us why we love, and sometimes question our families. I could not put this book down without wanting to pick it back up. Every chapter left me guessing about what was to happen next. It was a wonderful story with small southern town charm that just warmed my heart. I haven't read the printed copy of this book yet. I read the book when they posted it in segments like a blog, and it was GREAT! They are a great writing team. I have read their other books, and they are just as great! I hope they write a sequel. Join in and write your own page! It's easy to do. How? Simply click here to return to Share Your Favorite Romance Stories.